Using multiple phones often brings up the challenge of transferring content efficiently. Saved a lot of favorite photos and videos on your iPhone, which you use for daily life, and want to copy those media files to your LG phone, which you use for work. 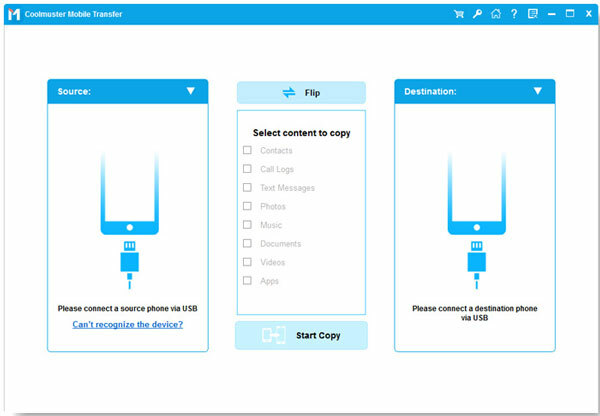 The two phones are running different operating systems like iOS and Android, therefore, you need to search for a professional iPhone to LG transfer tool to help you copy media files between the two phones. Fortunately, with the help of iPhone to LG Transfer, you can transfer not only media files like photos, videos and music files, but also contacts, text messages, apps, calendar, notes and more data types from iPhone X/8/7/6 to LG G2/G3/G4/G5 without any difficulty. 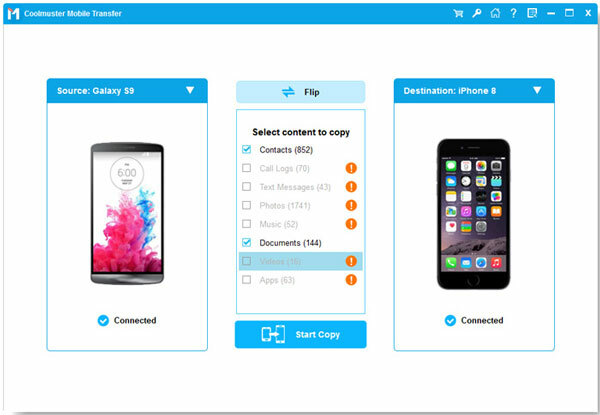 Moreover, it allows you to backup your data from phone to computer and restore them easily. It is fully compatible with overall mobile devices that are running Android, iOS, Symbian or BlackBerry. The following guide tells you how to copy media files from iPhone to LG, with the help of iPhone to LG Transfer. How to Copy Photos/Videos/Music from iPhone to LG G5/G4/G3? Install and run the iPhone to LG Transfer and click "Phone to Phone Transfer" section from the primary interface. Then, connect your iPhone and LG phones to the computer via two USB cables simultaneously. The program detects the two connected phones and display them side by side. In the middle of them, there are all types of files you can transfer now. Just select the Photos, Videos and Music that you want to copy. After you have selected all the media files you want to transfer from your iPhone to LG phone, you can directly give a click on the "Start Transfer" button to kick off the media files transfer from iPhone to LG.